By the grace of Allah SWT, the great month of Dhul hijjah is going to approach us very soon. 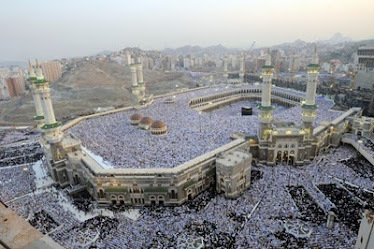 This is the last month of the Islamic year and the well-known month of pilgrimage to Makkah. In 2006 I was given the wonderful opportunity to perform my hajj Alhamdulillah. I was very moved by the whole experience. Never before in my life I have felt so moved and shaken and felt the amazing sweetness of Iman (the feeling of closeness and firm belief in Allah SWT) Subhanallah! Whenever I used to come across this term ‘sweetness of Imaan’ I could not really understand what that really meant. Going to hajj and being so close to my Lord I was able to experience that wonderful feeling so deeply in my heart for the first time. I felt I was full of energy to worship Allah more eagerly and in various ways but unfortunately within the couple of months after returning from hajj my motivation become weaker and weaker, eventually making me feel empty and disenchanted with my life. I have heard from other hajjis that they also went through the same phase after their return from hajj. Our society and its busy pace delude us into believing that we have too many things to do and worry about. Life becomes so busy that we tend to forget that as a spiritual being apart from food and drink we also need spiritual nourishment to preserve the integrity and peace of our soul and body. Allah SWT as our creator knows what we need to feel the peace in our heart. We need to get closer to Him through His worship. So we are getting a great chance to renew and boost our faith as the holy month of Dhul Hijja is going to approach us very soon. Let us do our best to reap as much benefit as possible from this great month. Usually we as Muslims tend to regard the month of Dhul Hijja as a month exclusively significant for pilgrims as they have to embark upon a great journey to Makkah and perform all the rituals recommended during hajj i.e. staying in Mina, ‘Arafah, Mujdalifa , stoning , sacrificing an animal, doing tawaf and sa’y bewen Safa and Marwa and so on. Although the remaining Muslims around the world celebrate the Eid ul Adha and sacrifice animal, most of the times these are the only action done with lots of enthusiasm. If we ponder upon the Sunnah of our beloved prophet Muhammad SAW we can get more evidence on the superiority of the first ten days of Dhul-Hijjah. This holy month gives us a great opportunity to strengthen our faith and become better Muslims. Let us prepare ourselves with best of plan to welcome this month with lots of enthusiasm Insha-Allah. Allah SWT is so merciful to us that He SWT through His messenger SAW has also shown us the best of the ways we can worship Him. Therefore let us learn and practice those golden ways to please Allah SWT. Although Hajj and Umrah are the best deeds performed in Dhul-Hijjah here I would like to concentrate on Muslims who are not going for hajj and umrah. It is recommended to fast during the first nine days of Dhu’l Hijja. The tenth day is the day of Eid, and is prohibitively disliked and sinful to fast this day. However, if someone is not able to do the entire nine days of fasting then they should at least try to fast on the day of ‘Arafah which is the ninth day of Dhul Hijjah as it is a sunnah of our beloved prophet SAW. 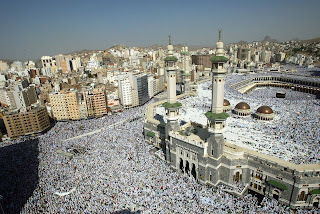 The Day of `Arafah is regarded as the best day of the whole year. 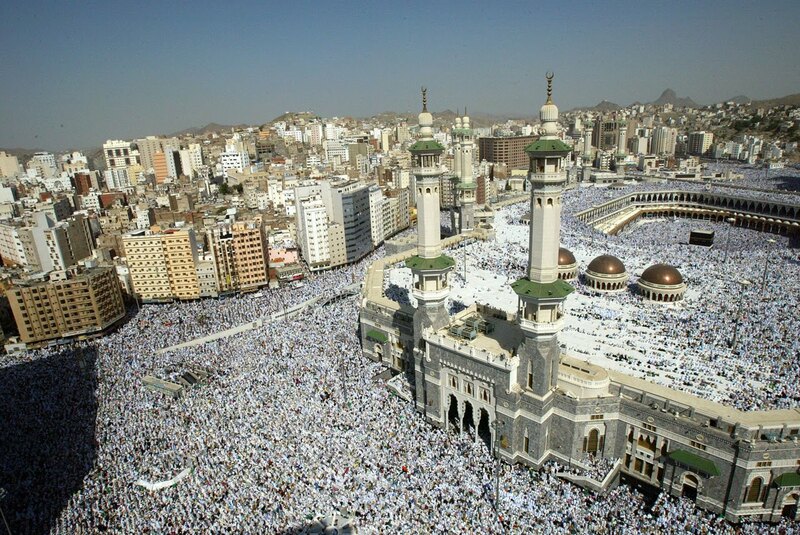 It is Sunnah to say takbir, tahmid, tahlil, and tasbih during the first ten days of Dhul-Hijjah, and to say it loudly in the mosque, the home, the street and every place where it is permitted to remember Allah SWT and mention His name out loud, as an act of worship and as a proclamation of the greatness of Allah, may He be exalted. Men should recite these phrases out loud, and women should recite them quietly. Allah says: (That they might witness things that are of benefit to them (i.e., reward of Hajj in the Hereafter, and also some worldly gain from trade, etc. ), and mention the name of Allah on appointed days, over the beast of cattle that He has provided for them (for sacrifice)... ) (Al-Hajj 22: 28) The majority of scholars agree that the "appointed days" are the first ten days of Dhul-Hijjah, because of the words of ibn `Abbas (may Allah be pleased with him and his father): "The ‘appointed days’ are the first ten days (of Dhul-Hijj ah)." The takbir should be pronounced loudly by men, in order to revive the Sunnah and as a reminder to the negligent. There is sound evidence that ibn `Umar and Abu Hurayrah (may Allah be pleased with them both) used to go out in the marketplace during the first ten days of Dhul-Hijjah, reciting takbir, and the people would recite it after him. The idea behind reminding the people to recite this is that each one should recite it individually, not in unison, as there is no basis in Shari`ah for doing this. The transmitted wording of takbir is: “Allahu Akbar, Allahu Akbar, la Ilaha illa Allah; Allahu Akbar, Allahu Akbar, walillah al-hamd” (Allah is the Greatest, Allah is the Greatest. There is no god but Allah; Allah is the Greatest, Allah is the Greatest, and all praise is due to Allah). According to Sheikh Yusuf Al-Qaradawi, there are two types of takbir in Dhul-Hijjah: unrestricted takbir and restricted takbir. Unrestricted takbir is applicable at any time or place, from the first of Dhul-Hijjah until the days of `Eid. Hence, a man can make takbir in the roads, markets, in Mina, and also when people meet each other. All these are occasions for unrestricted takbir. One of the good deeds that will bring a person closer to Allah SWT during these ten days is offering a sacrifice. According to Sheikh M. S. Al-Munajjid, a prominent Saudi Muslim lecturer and author, the one who wants to offer a sacrifice must stop cutting his hair and nails and removing anything from his skin, from the beginning of the ten days until after he has offered his sacrifice, because the Prophet (peace and blessings be upon him) said: "When you see the new moon of Dhul-Hijjah, if any one of you wants to offer a sacrifice, then he should stop cutting his hair and nails until he has offered his sacrifice." However, if a person does any of these things deliberately, he must seek Allah’s forgiveness but is not required to offer (an extra) sacrifice in expiation. Whoever needs to remove some hair, nails, etc., because it harms him, such as having a broken nail or a wound in a site where there is hair, should do so and there is nothing wrong with that. Through studying the Quran we can seek true knowledge of our faith and strengthen our belief with conviction. Sadly we tend to miss this great chance to educate ourselves with proper knowledge of Islam through mere recitation and not really giving importance to the meaning of this divine book. If we really like to change our poor condition and become better Muslims then only through learning Allah’s message explained in the Qur’an we can achieve our destination. Allah SWT loves the learned Muslims and makes their path to learning easy and blessed. According to sunnah, if Allah SWT wants to do good to a person, He makes him or her comprehend the religion (the understanding of the Qur’an and the Sunnah of our beloved prophet SAW) It has been said that the best among Muslims is the one who learns the Qur’an and teaches it to others. We should also try to recite the Quran and try to memorize it to the best of our abilities Insha-Allah. According to the sunnah, every letter of the Quran brings us reward so we should try our best to make the reading as well as following the instructions of this holy book a daily habit Insha-Allah. We can start through the ten days of Dhul Hijjah Insha-Allah. Allah SWT has ordered us to be good to our parents and do our best to please them as long as they do not tell us to be disobedient to Allah SWT. Our parent’s satisfaction in us is very crucial for us as without their blessing we cannot achieve closeness of Allah SWT in our life. Moreover, being nice to our relatives and helping them whenever they need us are also recommended by Allah SWT quite strongly. So let us be nice and helpful to our parents and relatives and in return earn the blessings of Allah SWT, insha-Allah. In addition to the five daily prayers, there are different types of voluntary prayers. Voluntary prayers are recommended by our beloved prophet SAW as these sorts of prayers bring us closer to Allah SWT. We can pray the Salatut Tawbah, Salatut Tasbeeh, Salat al-Israq, Salat at-Duha, Salat al-Awwabin , Salat at-Tahajjud and so on. Charity is central to a Muslim's life. Allah SWT loves the act of charity. Even smiling to our fellow Muslims is regarded as a charity. Helping the needy and poor people around the world can strengthen our faith and Insha-Allah will make us better Muslims. The Qur'an encourages the Muslim to donate their money: “The likeness of those who spend their wealth in the way of Allah, is as the likeness of a grain that sprouts seven spikes. In every spike there are hundred grains, and Allah multiplies for whom He will' (2:261). Giving charity is thereby not seen as detracting from income, but rather as a multiplication in terms of spiritual observance. It is like one who sows a good grain of wheat in the field from which grows a plant on which sprout seven ears and each ear yields hundred grains. As a result, one grain was worth a total yield of 700 grains. When one spends in the way of Allah, he or she receives in return (reward in the Hereafter) on the scale of one to seven hundred. Subahanallah! The tenth of Dhul-Hijjah is `Eid Al-Adha or the day of An-Nahr (slaughtering). It marks the conclusion of the major rites of Hajj, and commemorates Allah’s bounty on His Messenger Ibrahim AS when He gave him a ram to sacrifice as ransom for his son Isma`il, peace and blessing be upon him. Attending the Salaat al-Eid and the Khutbah are recommended not just for men. The Muslim women should try to perform the prayer too as it has been stressed by our beloved prophet SAW. For the sake of unity and celebrating this great day, He SAW even asked the menstruating women to come to the mosque but of course keep a distance from the actual prayer area. Therefore, we can perform lots of righteous deed during the first ten days of Dhul Hijjah. It is better to write our plan in a diary and try to get enough preparation in order to welcome the great month of Dhul Hijjah and get the blessings of Allah SWT. Our ultimate goal is to please our Lord Allah SWT. May Allah give us success in these blessed days and nights, and in every moment of our lives, to follow the path of the Prophet (Allah SWT bless him & give him peace), and may He make us of those whom He loves and who love Him.